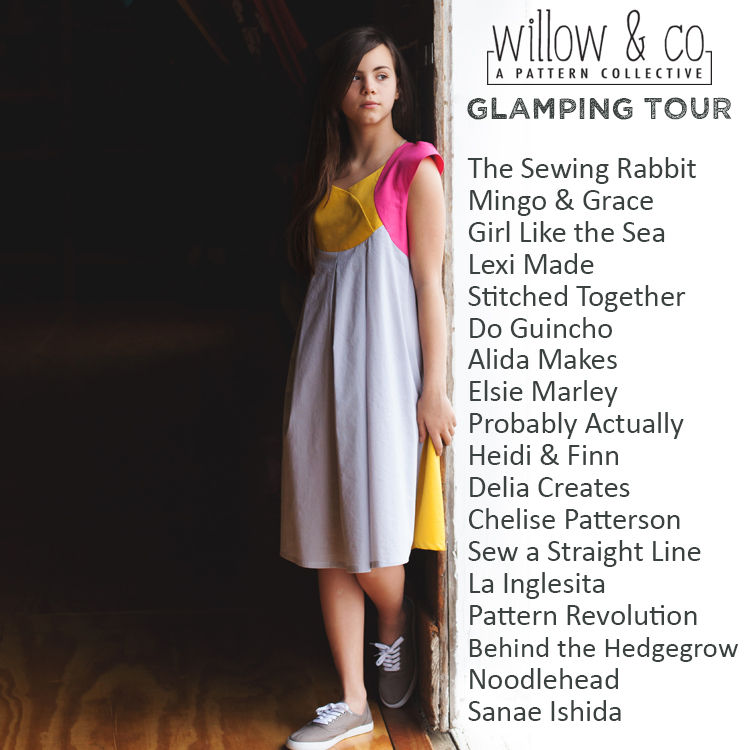 Today is my stop on the Willow & Co. Glamping Tour! Laura (of Craftstorming and Titchy Threads) kindly invited me along, and anything she’s involved in is automatically legit in my book. I’ve been so impressed with her patterns (Small Fry Skinny Jeans! 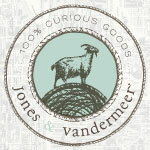 ), and I figured she’d only take part in the most awesome of pattern collectives. And once I read more about Willow & Co. and looked through the collection, my assumption was confirmed. Choosing from all the patterns wasn’t easy, but I thought Oscar would look pretty cute in the Hawthorn Zip-up Sweatshirt. The Hawthorn jumped out at me as being both practical and stylish, and that it happened to be Laura’s pattern was the icing on the cake. 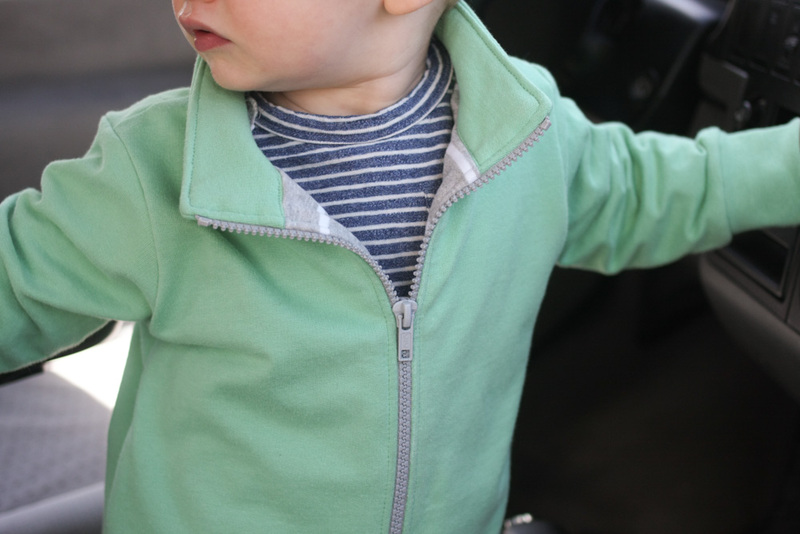 It’s a perfect little collared sweatshirt that can be made in a full or half zip, with options for side seam pockets or a split side-seam with lower back hem. 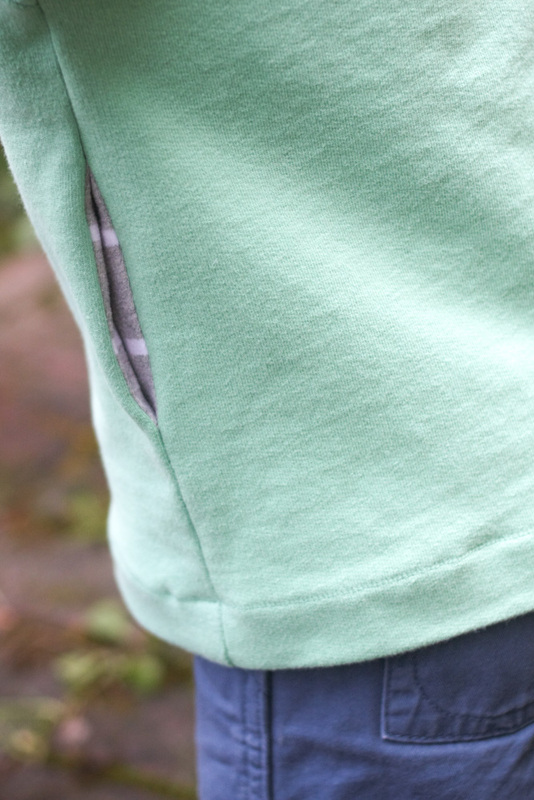 A basic, well-designed zip-up sweatshirt is such a useful pattern to have in your collection. 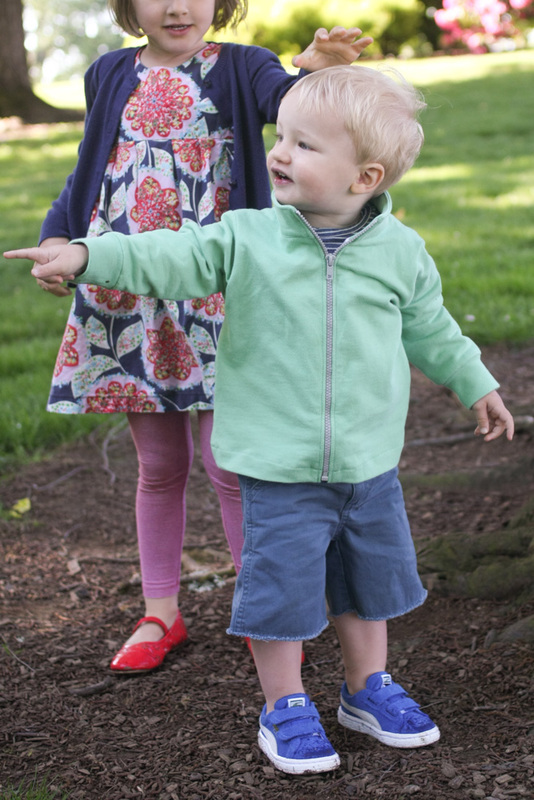 The fit is great, the details are professional, and what kid wouldn’t want to wear it? This one is a total crowd pleaser. And back to those details – Laura does them so well. I’m somewhat of a zipper novice, and I really appreciated the directions for inserting the zip – the Wonder Tape (I used this stuff) really did work wonders, and the interfacing kept everything hanging straight. I did the full-zip version with the pockets, and used a soft, lightweight french terry (smooth on one side, loopy on the other) from a men’s Target sweatshirt. I have such trouble finding good knits locally, and I hate ordering online without seeing and feeling the fabric first. I always check Target and Old Navy for pieces to re-purpose, but I’ve noticed lately that a lot their sweatshirt and jersey knits are cotton/polyester blends. You really have to search for the 100% cotton stuff, but that’s what I prefer to use when I sew for kids. This one fit the bill – the quality was surprisingly good, and I liked the minty-jade color. For the pockets and facings I cut up an old hoodie of Lila’s from Old Navy. One nice thing about using a ready made sweatshirt is that the existing ribbing could be re-purposed for the cuffs – and it all matches. That’s my other gripe about knits – every variation of every hue is available when I shop for woven solids, but when I’m pairing up knit fabrics, I usually feel pretty lucky if I find a random contrast color that doesn’t totally clash. Okay, enough already. Go check out Willow & Co. if you haven’t already. The lookbook is overflowing with Vanessa‘s beautiful photography, and it’s sure to inspire you. So many patterns, so little time. The Fawn Lily dress and the Senna Tote are next on my list. Happy sewing, happy glamping, and thanks to Laura for having me along! This looks amazing Gail! That pale mint is so gorgeous and the grey zip and lining fabric add the perfect subtle contrast. You were right – Oscar looks really cute in it. 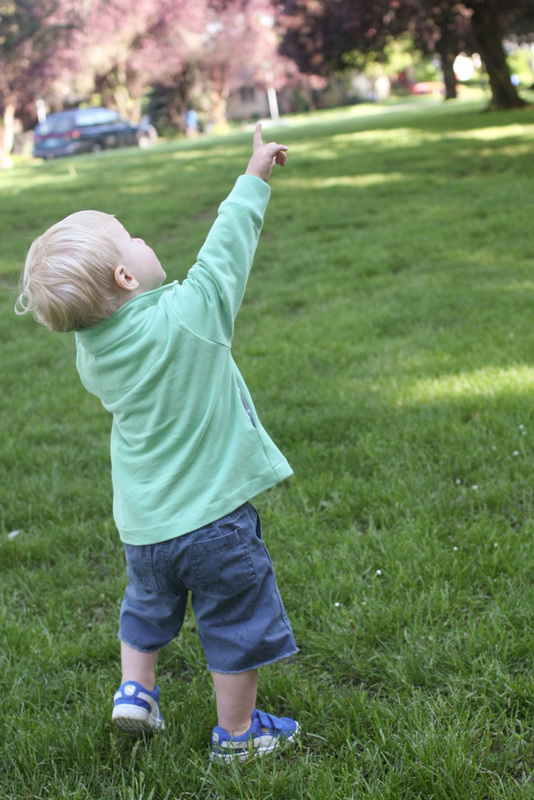 You are going to have so many incredible adventures in your camper van – how exciting. I’m so happy you could join our tour today. What a great Hawthorn. LOVE the color. And you are right about Laura’s zipper instructions…they are perfect! Wait till you try the half zip. wow! Great sweatshirt! Love the colors! A zipper novice? That’s nonsense, this thing is beautiful! Great work repurposing, I’m JUST now getting my hands into it. I love the color! I was a couple of minutes just staring at the color… it is just so perfect! 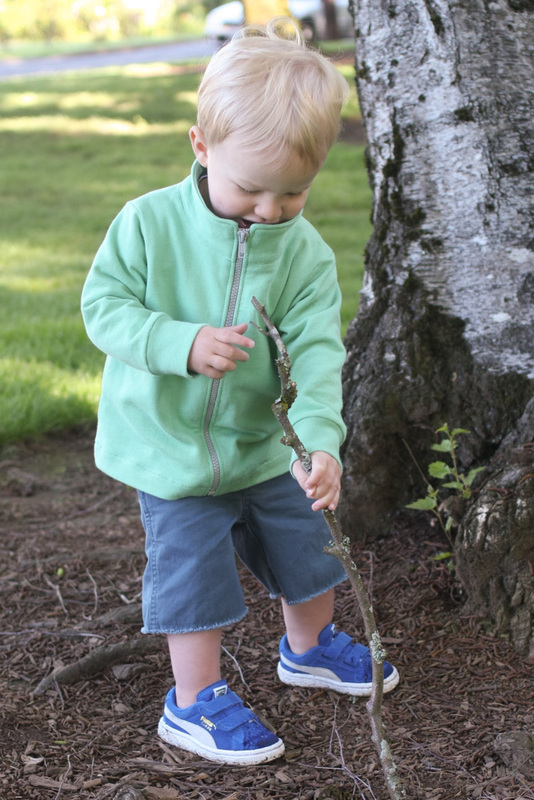 And it is so funny that I tested the Hawthorn for my little girl and I also used a store bought sweatshirt (also french terry, floral print) – I had just bought it for myself the day before I started pattern testing. This is just gorgeous – I really love the colour! Congrats on your recent Eurovan purchase – may it be a summer of wonderful camping memories!! This looks wonderful! My baby brother would just adore a sweatshirt like this and I definitely agree that it can be difficult finding nice knits and coordinating rib knits. I learned about ‘glamping’ pretty recently too. Have a wonderful time! I was on the edge of my seat waiting to see where you got the fabric for the Hawthorn…and then…noooo! It was re purposed. I love it, and you can tell just by looking how great that fabric is. I am right with you on the trouble with finding quality knits–so hard! I love everything about his Hawthorn, that is one cute model you have! I love the color of your Hawthorn! Your kids both look adorable! so cute! The color is great. I also have problems finding good ribbing, and don’t like ordering without feeling something. Polyester just isn’t my fave either. I’m a natural fiber snob…..I’m fairly certain that Clover’s atari tee is poly, but I’m just choosing to ignore it till it starts pilling. Heh. I do like the organic terry kit on fabric.com. Having already tried it out, I would order it again because it feels so great. I’ve got some amazing terry knit that looks like tweed just waiting to be turned into a hawthorn for Hawthorne! If I ever find the time.